Yes, Aussies, you read that correctly – Biscoff spread IS in Australia, believe it or not. But it’s hiding from us! Biscoff, which is short for biscuits and coffee, is an American-ized name; Biscoff’s original, European name is “Speculoos”, or “Speculaas”, depending on the country. I had a really bright idea one day to search google for Speculoos in Australia, rather than Biscoff in Australia, and the results were amazing! Search for “lotus” at USAFoods to find crunchy Biscoff spread (sold out of smooth/creamy)! $13.50 for 400g, plus $11.00 postage. Search for “speculaas” at It’s All Dutch to Me and you’ll see a range of Speculaas-flavored goodies. Speculaas spread prices range from $8.50 – $13.75. Available in 380g and 720g jars. Flat rate shipping $11.50. 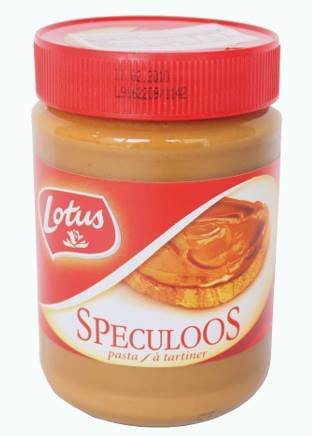 Search for “speculoos” at A Touch of Dutch and find crunchy and and smooth Lotus Speculoos spreads. $9.99 per 400g jar, and $17.50 per 700g jar, but postage is quite expensive at $17.50. Search for “speculoos” at France at Home and you’ll find a 400g jar of smooth Lotus Speculoos spread. $11.90 per jar; shipping is calculated by weight unless you’re in metropolitan Melbourne, where it’s $9.95. Search for “biscoff” at Australia’s Warehouse to find a large 720g jar for just $10.39. Your first order will post for free if you enter a promo code supplied by the site, but subsequent orders will be $9.99. *note, I’ve never heard of this website before, so not sure how legit it is! Prices were correct, and Speculoos jars were in stock in these online stores at the time of publishing this post. This post was last updated 9 July 2018. Okay, so now you know where to go to find Biscoff, but the shops are out of stock?? Well, that’s the problem – as soon as these shops receive a shipment, they are sold out within a couple of days. 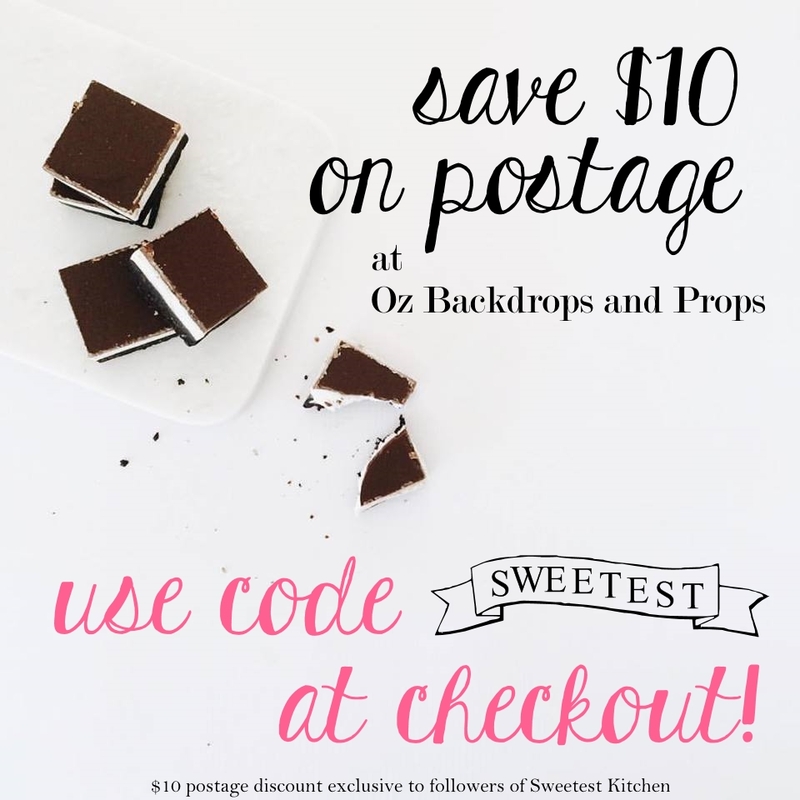 If you’re serious about getting your hands on Biscoff, bookmark these online shops and check them each day, or even email the proprietors, as I did, to find out when their next shipment arrives. If you happen to still be having trouble getting some Biscoff spread, and you have some Biscoff biscuits, you can make your own Biscoff spread. It’s super easy and made with normal pantry ingredients using a blender or food processor. Only $1.79 for a pack of 16! I bought 5 packs, and 2 days later I came back to buy 3 more, just in case! Do you mean the spread? (Biscuits are not uncommon). I’ve only recently tried the spread and it was to die for, but it was purchased by my daughter while on holiday in Adelaide! It wasn’t cheap nor are the online shops (factor in postage amounting to more than the price of the jar!) so if it’s available in a shop in Sydney, I’d love to know! I’ve never had speculoos spread – only heard rumours of this magical stuff, but earlier this year I discovered in this big food warehouse near Newcastle this “Biscuit Spread” which I imagine is very similar – tastes like spiced biscuits, and was Belgian I think. I ate the whole jar with a spoon…oops. I’m yet to find it anywhere else, but you could buy it off the shelf for about $6 there! Plus all kinds of amazing international foods for really good prices. Caeli, which warehouse did you buy the ‘Biscuit Spread’ from in Newcastle? I am in Sydney, but have a sister in law who lives up that way and could buy it for me as I have found a wonderful recipe for Biscoff Bark on a USA blog site and would love to make it. Hi I’m in Adelaide now, could you tell me where your daughter found the speculoos spread! Thank you!! I found the Speculoos Cookie Spread recently at USA Foods in Moorabbin, Melbourne. Jar was gone within the week. What road is the USA foods on? I’m in Moorabin but never heard of it! Theres 2 places you can get it in Adelaide, theres a Dutch shop on 457 Brighton Rd, Brighton (always check the use by dates on everything you buy there) and also depending on where you live, dutchstore.com.au you order online and can choose delivery or pick up at Aldinga Beach. Thanks for the heads up on the Lotus Biscuits. I read your blog today and decided to pop into Coles just on the off chance they stocked them. Came away with 3 pkts!! For those folks who live in or near Sydney, I managed to get a jar of Speculoos Cookie Spread in David Jones Food Hall in Market Street today. It is $11.95 a 400g jar. Apparently they stock it all the time. Wow $11.95 for something that i could buy everywhere in Amsterdam for 2.50 euros!! someone is making a fortune!! I can’t believe it. I was curious about what a biscoff biscuit was when I was looking through recipe sites. Searched and found this page. Still not much the wiser until I got to the bottom of the page and saw those Lotus biscuits. I had bought some, loved them, but couldn’t remember where I found them. Now I know the answer to both mysteries. does anyone know where u can get the “thierrys recipe” spekuloos cookie butter in Brisbane? I believe there is a shop somewhere in Perth called 50 States (google 50 States for more info and address) that sometimes stocks Trader Joe’s-brand Speculoos. Or, you can try the online shops listed above to order and have it posted to your door, if you’re having trouble finding it (it is not a common item in Australia!). Aldi have it at the m9mwnt. Can’t rember the price but inder $4! Cheaper than when I buy it in Belgium!